We are still in the process clearing all the props promotions's order. 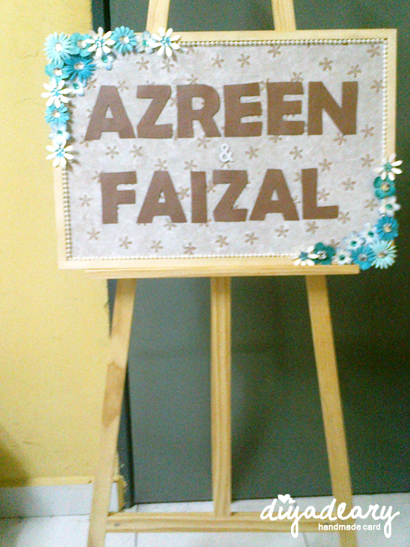 InsyaAllah, everything will be done before end of this month. Anyway, lets stop about photobooth orops for a while. 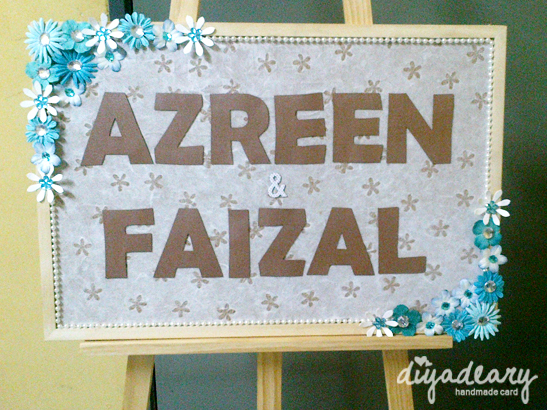 This is signboard made for a friend's wedding, includes the rented easel. The theme was turquoise. 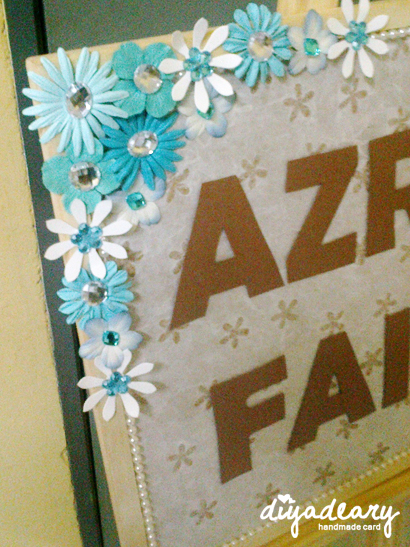 Anyway, sorry for the low quality photos as they were taken using phone's camera. Don't hesitate to contact us if you have any question regarding our products, okay?